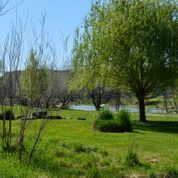 This 4.7 acres park is located along the Crooked River and shares parking with the Crook County Library. Library Park is owned by the City of Prineville and maintained by Crook County Parks and Recreation District. Facilities at the park include a play area, interpretive trail signs, interpretive kiosk, picnic table, and river access.